QUESTION: What mechanism prevents banks from creating fraudulent electronic deposits of currency? As an IT systems admin, I have the ability to add / subtract / adjust ERP systems inventory / costing outside the normal users ability. I could add widgets to the system at will, but fraud can’t be sustained very long, as the physical widgets can’t be sold, they only exist in the system. Electronic currency, however, is only a ledger entry, and since new currency units are created as loans – What prevents any bank from just changing the numbers in their systems to create more currency units at will? Can’t get my head around this. Thanks for all you do from a little guy just trying to get by! ANSWER: The creation of money electronically in the banking system is the degree of leverage. Reserve Requirement Ratio at the Federal Reserve was increased on January 18th, 2018. It required that all banks with more than $122.3 million on deposit maintain a reserve of 10% of deposits. Banks with $16 million to $122.3 million must reserve 3% of all deposits. 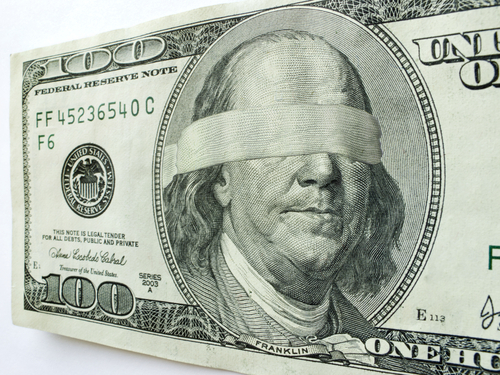 They create money that is purely electronic and we do not see it. I deposit $100 and they lend it to you. Now we both have $100 on deposit and the reserve requirement will be $20 for most banks. They then lend it out a third time and there is now $300 on deposit requiring $30. They cannot create entries out of thin air. They are audited and the reserve ratio is strictly enforced in the USA. The Fed will raise and lower that reserve ratio as they see fit based upon economic conditions. At the European Central Bank, things are substantially different. 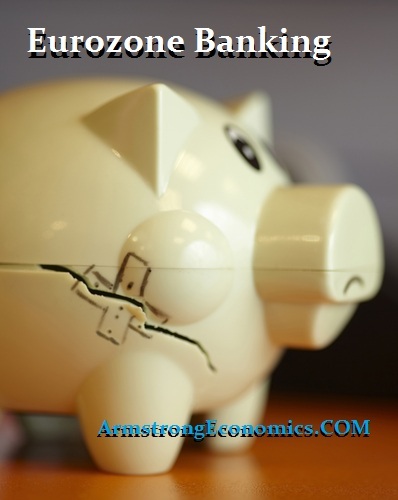 Eurozone banks are required to hold a specified amount of funds as reserves on AVERAGE in their current accounts at their national central bank in each member state which are called “minimum reserves”. Remember, each member retained its own central bank! A bank’s minimum reserve requirement is set for six-week periods called maintenance periods. This minimum reserves level is therefore calculated on the basis of the bank’s balance sheet prior to the start of each six-week maintenance period. Banks have to make sure that they meet the minimum reserve requirement only on an AVERAGE over the course of the maintenance period. This introduces serious risk. The bank can dip below the minimum reserve in the middle of a crisis and at the end of the six-week period, there can be no reserves remaining. So they do not have to hold the total sum in their current accounts at the central bank on a daily basis! Therefore, this is a flexible arrangement that allows the banks to react to short-term changes in the money markets, but it exposes them to tremendous risk in a financial panic. The design was claimed to help stabilize the interest rate banks charge each other for short-term funds. I totally disagree with this concept. Up until January 2012, European banks had to hold a minimum of only 2% of certain liabilities, mainly customers’ deposits, at their national central bank. 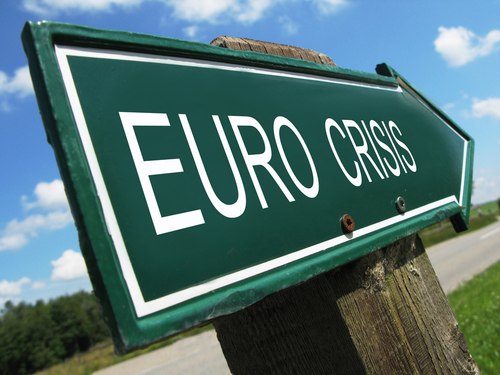 As the economic crisis has continued in Europe, this 2% level has been to 1%! The total reserve requirements for Eurozone banks stand at only around 113 billion euro currently. Perhaps now people will understand why I have been warning about a MAJOR financial crisis starting in Europe and spreading thereafter around the globe. The general media and the public will NOT understand the reserve ratio disparity so a banking crisis in Europe will be assumed to be the same around the world. Unfortunately, what happens in Europe will NOT stay in Europe. This is also why I STRONGLY urge Europeans to create a stash in the US banks for now. The ECB is seriously looking at creating a cryptocurrency to defeat hoarding just canceling Euro notes. That will end hoarding and they will be able to then enforce negative interest rates. From the ECB view, they are concerned about the coming bank crisis in Europe so the best way to prevent a bank run is to eliminate cash! Europeans should open accounts outside the Eurozone before it is too late. And Prime Minister Theresa May wants to stay linked to Europe. This is when we need people who REALLY are qualified to understand the world financial system. I cannot express how dangerous it has become with politicians who are clueless about how the world economy even functions. UK banks operate under a completely different scheme. In May 2006, the Bank of England began paying interest on bank reserve deposits at its official Bank Rate. This inspired US banks to demand the Fed pay interest on excess reserves. The Bank of England had the ‘reserves averaging’ regime back then whereby the quantity of each bank’s reserves that the Bank of England would pay interest on was restricted to a range around a ‘target’ level of reserves that the bank was obliged to pre-declare. The used to be set on a daily basis but was changed at this time to an average over each monthly maintenance period. The objective was to establish a marginal cost of reserves to the banks which would remain very near to Bank Rate. However, this was dependent upon the provision if the Bank of England supplied the right amount of reserves to enable the banks’ reserve deposits to be within this range. In view of the Bank of England’s desire that wholesale market rates should remain close to Bank Rate was considered to be an improvement over earlier procedures prior to 2006 when reserves were mot paid interest and the Bank of England then had to supply reserves in quantities that exactly matched demand. 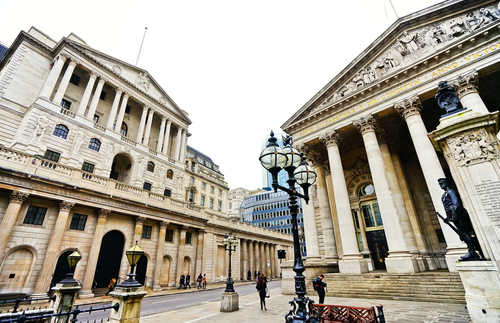 Consequently, market interest rates tended to move towards the boundaries of the corridor formed by the Bank of England’s deposit and lending facilities. Nonetheless, under the new reserves-averaging regime post-2006, the Bank of England still had to supply reserves in appropriate amounts to meet demand, but it was more flexible. 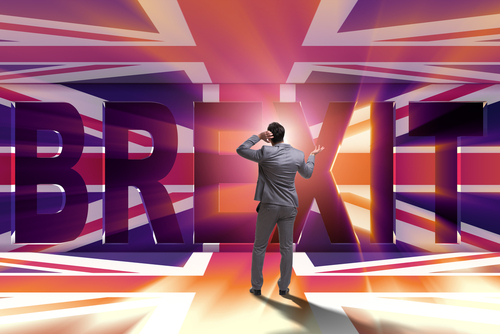 However, the new regime was still ill-equipped to cope with the expansion of reserve supply that the Bank of England then undertook to overcome the breakdown of interbank markets during the financial crisis of 2007-2009. To maintain interest rate transmission within the reserves averaging regime, the Bank of England then widened the range of reserve deposits that they paid interest on from 1% to 60% trading around the Bank of England’s targets. This required the Bank of England to then take steps to reabsorb the excess reserves. The introduction of Quantitative Easing, which began in March 2009, merely created another problem from the reserve perspective. Suddenly, Quantitative Easing caused another larger expansion increase in reserve deposits. Rather than trying to offset this by selling other assets or making further adjustments to the reserves averaging scheme, the entire scheme was simply suspended in favor of paying interest unconditionally on ALL reserve balances. Consequently, I have stated NUMEROUS times before, all central banks are NOT the same!!!!!!!!!!!!!!!!!! !